Your brakes are definitely not a part of your vehicle to neglect. It goes without saying how important this system is. Federal Way Automotive & Radiator offers dependable brake service to Fife and the surrounding areas. Most people are aware that brake pads need to be replaced when they get worn down, but the braking system consists of much more than just the brake pads. Every part needs to be in good condition to ensure this important function is not inhibited. That is why we a offer free inspection of your braking system during any service you receive from us. 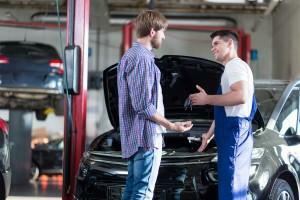 If we find any problem, we will talk to you about the necessary repair. Our ASE certified professionals are experienced in all aspects of brake service Fife. We inspect the brake system, end to end. We look for worn or wearing parts, areas that have become lose, debris lodged in the system, and any other signs of concern. Your safety is our priority, so we treat every break inspection and repair as if it were for our own car. Neglecting a brake problem is not only dangerous, it can get costly. If you let a problem go too long, it can result in a larger, more expensive repair. That is why we encourage regular brake inspections at least every 5,000 miles. Some people may need to use their brakes more frequently or they may be accustomed to braking harder than is common. 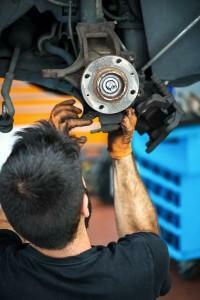 In these cases it is best to have your brake service done even more frequently. We bring a written report of any concerns we find to you, along with an cost estimate. Our friendly staff are happy to discuss the brake services we suggest. We encourage you to ask questions, as we want you to feel comfortable in understanding your vehicle and our services. What are common brake services? Call to schedule the brake service Fife depends on!